As I write this post, I have boxes needing to be purged that beckon me, or rather, mock me. Can you hear them? I can. They are not nice. A few years ago a friend of mine, Kristen, from Dine and Dish, mentioned reading a book on the art of decluttering, The Life-Changing Magic of Tidying Up. Of course, I wasted no time and ordered it right away. I was able to declutter quite a bit back then, but we moved last year, downsizing, and the decluttering and purging has yet to stop. It’s mind boggling how we have gathered so much stuff. As you may know, decluttering can be quite overwhelming: The stacks of books and papers and clothes and random things I’m not sure what to do with, the electronic boxes and instructional booklets, the drawer of chargers and tangled cords … all of it. Basically, I’m just overwhelmed with being overwhelmed. Kristen’s recommendation back then was helpful. Even though I don’t believe objects have feelings, the approach to tidying up was inspiring. This week decluttering is high on the list of things to do. Consolidate a few boxes here, a kitchen cabinet (or five) there … it will all get done, eventually. With all the fun work ahead of me, I’m already thinking of what I can prepare for a quick lunch. Something that will not interrupt my important work that’s also quick, easy and comforting. 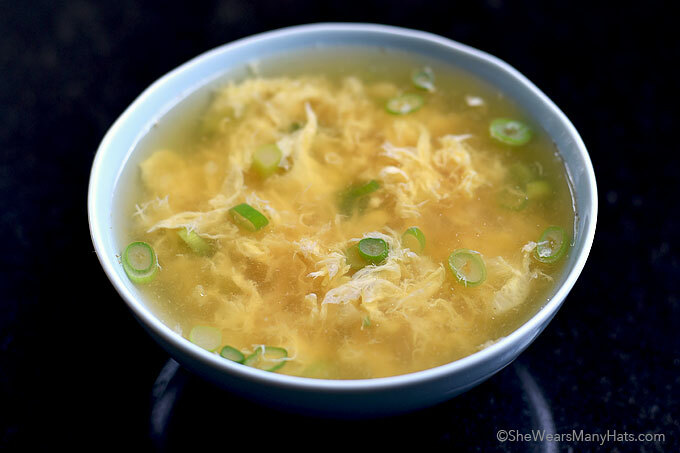 Something like soup … Egg Drop Soup. Perfect! Sometimes I like to add a bit of sriracha hot sauce to spice things up a bit, because need all the help I can get to tackle those boxes. A little bit of spice may just do the trick. We’ll see. If you don’t hear from me, send in reinforcements armed with trash bags. Over and out. 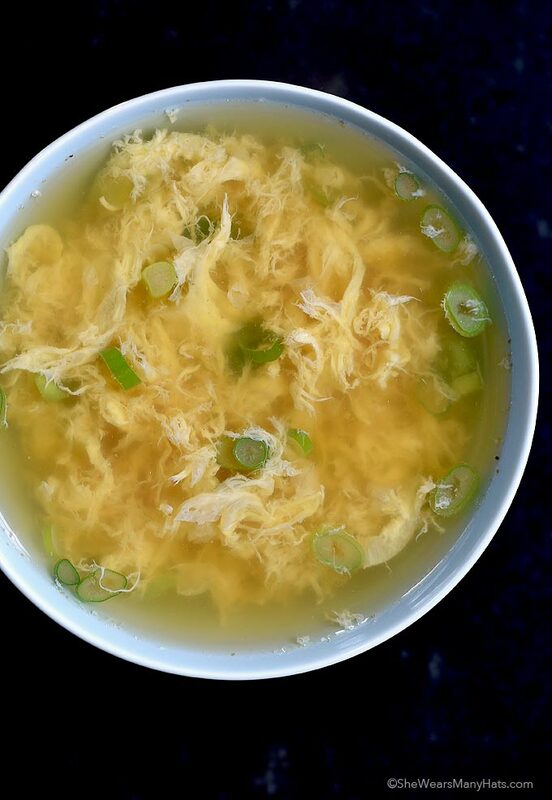 Many Egg Drop Soup recipes call for using cornstarch to thicken it up. I’ve made it both ways and honestly don’t care for adding it. Less is best in my book. But if you desire a slightly thicker broth, whisk together 1 tablespoon of cornstarch and 2 tablespoons of chicken broth in a small measuring cup or bowl, then slowly stir cornstarch mixture into simmering broth to thicken. For a spiced up version, add a bit of sriracha hot sauce and/or ground red pepper to taste. I do like it spice-say! This tasty soup is super satisfying and hard to beat for a quick and inexpensive meal. If you desire a slightly thicker broth, whisk together 1 tablespoon of cornstarch and 2 tablespoons of chicken broth in a small measuring cup or bowl, then slowly stir cornstarch mixture into simmering broth to thicken. For a spiced up version, add a bit of sriracha hot sauce or ground red pepper to taste. Eggs. Use white only or just whole eggs? I’m not clear about dividing the broth.Divide the broth in half? Then stir the eggs in one of those halves? Just not sure about the instructions. Thank you. That was a mistake on my part. 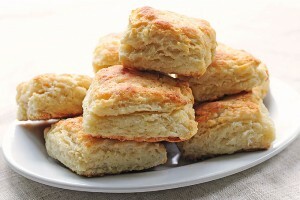 When I originally wrote the recipe a few weeks ago I made it with the cornstarch, then after trying it without the cornstarch I decided it best without it, and forgot to remove the “divided” from the recipe. I apologize for any confusion. The recipe reads correctly now. I like my broth a little thicker, therefor I used the cornstarch. I made this in less than 10 minutes. Most of that time was waiting for the pot to heat up. Super easy! Thank you for sharing. 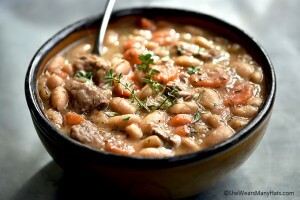 I love making this soup at home! Great recipe! Please keep in mind that soy sauce is not gluten free and many brands of broth are not either. I noticed that you tagged this recipe as “gluten free”. Many people follow this diet for medical reasons and are looking for safe recipes and accurate information. Thank you. Hello, happy girlfriend. There are gluten-free varieties of broth and soy sauce (Tamari) available for those following a gluten-free diet. Anyone following a gluten-free diet for medical reasons should always check labels to make sure that any product they are eating is definitely gluten-free. This recipe looks great! I can’t wait to try it. Perfect for a rainy day. 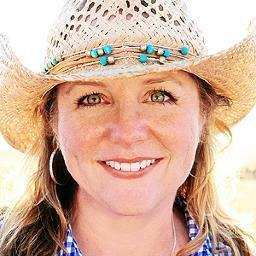 Love your recipes Amy! The ginger listed in the recipe is ground ginger, which is dried. For me the ginger is not overwhelming, but you can easily adjust the amount to your preference. Any thoughts on using vegetable broth to make this vegetarian? Just made this! Super good! Even on a hundred degree day! Thanks! I was wondering if this tastes just like the egg drop soup from a Chinese restaurant? 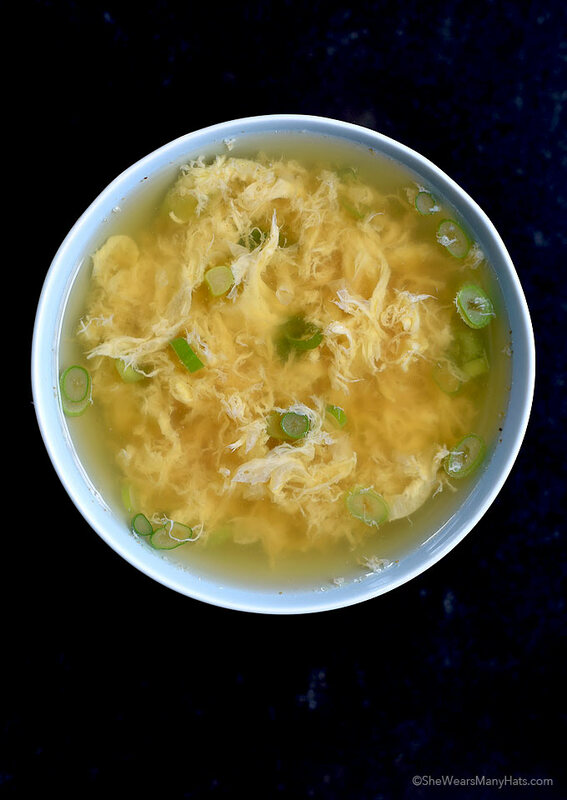 I have tried 2 or 3 other recipes and they all tasted nothing like the restaurant stuff…..
Made this last night for sick hubby who requested egg drop soup. It was quick and easy and delicious! I like that it’s easy to scale ingredients up or down (soups are so forgiving that way, yes?). I added a bit more ginger for sick hubby, which was appreciated. We paired it with homemade sourdough toast and earth balance butter (definitely not a standard Asian side, but it was awesome!). Thank you!!! Kinda disappointed, it doesn’t have that “egg” taste to it. I think maybe the ginger took that away? I thought this recipe was grand. Added a little drizzle of sesame oil while it was simmering, and it added the finishing touch. I just made this from my own chicken stock. It is the best ever. I like it even better than restaurant versions. And I love this soup. I made this using my own chicken stock. 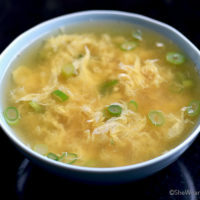 My husband had always hated egg drop soup you get in restaurants, he now asks for this recipe-Thanks so much! I’m so glad to hear that, Shelly! Thank you. Made this tonight. Doubled the eggs. Loved it! I also added shrimp. Really, really tasty! 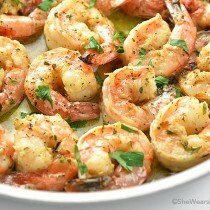 Oh goodness … shrimp sounds delicious, Nicole! Going to try that! I doubled the egg as well, and added a two or three drops of sesame oil and a drop of oyster sauce…. Whoa! Really good! I’ll have to try adding the shrimp next time. Love this recipe! Every time I make it the liquid part comes out dark not see through like your picture. Is there something I’m doing wrong? It may have something to do with the type of soy sauce. I’m sure it still tastes as good! I made this today. It was delicious. I’m curious how your pictures have the broth so clear. Once I added the soy sauce it looked more like beef broth. It was yummy either way. I will make it again for sure. Hmmm … maybe it’s the type of soy sauce? With only 1 tablespoon of soy sauce added it shouldn’t look too dark. Mine is usually slightly tan and pretty clear. I made it again using only a teaspoon of soy sauce. Came out perfect! Yes, you can find plain chicken broth in the soup section at your local grocer. Made this tonight and it was AWESOME. Cut the recipe in half and used about 1/4tsp of fresh ginger. Better then any Asian restaurant here in Hawaii. Thank you, Leo! I’m so happy you enjoyed it. This looks like a great recipe! I look forward to trying it! How did you get on with your Marie Kondo decluttering in the end? I am reading her second book now as I loved the first! I’ve written about it on my blog too. But it’s hard to find the time to do it properly with my 3 kids around! Always some other priorities?! I was able to declutter my clothes very well, then got stuck on random areas. I can’t imagine trying to do it with small children. I haven’t checked out her 2nd book yet. Going to look now! Can you tell me what the nutrition info is on this dish? I didn’t see it listed above anywhere. Thanks in advance. I do not have the nutritional data calculate for this recipe. How many milligrams of sodium are in this soup? I make this many times here in AZ.. But this is what I do.. First I’ll make “Basmati” long grain brown rice ,,,,, Then bring the chicken broth up to high simmer, just before a boil.. Separate 4 jumbo eggs and then adding the whites stirring all the time.. Chop spring onions 2 cps,,, add to broth,, when 2 cups of the rice,, Add the yokes separately so they do not combine,, The yokes should timed like a 3 minute egg.. When I do this for my friend’s,, I’ll make a trip to the local Chinese restaurant and purchase a bag of “Wonton’s”..
I’m going to try adding rice next time. It sounds delicious, William! I could not find crushed ginger at the grocery store, but do have fresh ginger and crushed ginger. Am I able t use any of those and if so is it the same measurement? If using fresh ginger, do I put in slices, or chop it up? You could use fresh ginger. I would begin with 2 thin slices and see how you like it. One day I’ll challenge your egg drop soup with mine. I know that sounds really braggy but mine is actually to die for. I’d have to actually try to figure out how I make it as I don’t measure anything I do it strictly by taste. It sure looks good though. Bragging share your recipe to see what’s the differences and do you use Same ingredients by CHANCE? Pls feel free to send it to Me I’m Interested in this Recipe as WELL as yours!! alavenderrose@yahoo.com. si cerly thanks to all. Liah. 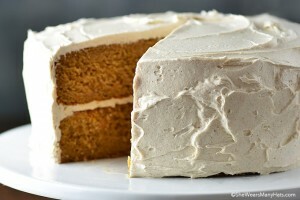 Yumm to this recipe!! Soup was good. In the future I might have to switch to a less sodium soy sauce and chicken broth. I didn’t have to add any salt with this original recipe. The spy sauce turned the broth a bit brown, is that normal or should I adjust soy sauce ? 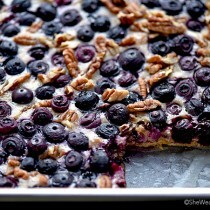 Cant wait to try this recipe this weekend while camping! Thank you!! How long are you supposed to cook it while stirring? I know time can vary based on what temperature you’re cooking at but just babe ballpark time? I have never cooked egg drop soup in my life and I can read the cook time but don’t understand if that’s from when your broth starts cooking or when it is boiling? Soup was great! I added 1/4 tsp of sesame oil. Otherwise, followed the recipe. Thank you for sharing it! Pingback: Bone Broth: How to Make It and Why You NEED It To Heal! 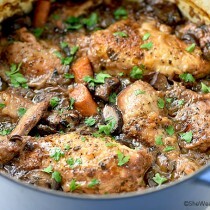 I made this tonight for a light dinner and sure enough you’re spot on, very comforting and delicious. I loved how easy it was to whip up. It was perfect for a rainy cold day, just what I needed. I only put 1 tsp of soy, omitted the ginger (maybe next time, I actually forgot to add it) and added a tsp of toasted sesame oil. I’m sure I’ll be making this often though the winter months. Thanks for the easy recipe. I made this with 4 eggs, delicious. Pingback: [ HOT]: 10 Soup Recipes You Have to Try This Fall – Connect to Everyone! Pingback: 43 Hearty Winter Soup Recipes - Joy Pea Health | Food. Drink. Nutrition. Wellness. Okay. So I think I don’t understand what summer is….. when I added my eggs they did not string up. They just kind of clouded the broth. Do I need to get it hotter? Sounds like you should have it hotter. New twist as Spring 🌱 comes. Me neither 🙁 I bookmarked this as it is my daughter’s fav, and now it’s gone. So sad. I am so sorry! There seems to have been a problem yesterday with many recipe sites. It looks like things are working correctly now. Try clearing your cache/refreshing. Please let me know if the recipe is still not showing for you. I see it now! Perfect! Thank you 🙂 This is my go to egg drop recipe, we love it!